Looking for a $600 laptop? Or do you have buyer’s remorse after throwing down six big ones? You might have an overpriced piece of garbage on your hands. This week Kannon Yamada explains how to find the best possible mid-range laptop. I’m a novice on buying laptops. I purchased a Dell laptop a couple days ago, but I’m having second thoughts about keeping it. I really need an expert opinion on the specs of the CPU and GPU for the price I paid ($599 +tax) before returning it. Is this laptop as fast as they advertised? Performance is more important to me than storage, RAM, and battery life. So is it a keeper? My machine is the Dell Inspiron i5755-4293 laptop . It has a 2GHz AMD A8-7410 quad-core processor, a TrueLife HD screen with a 1600×900 resolution, 12GB DDR3L 1600MHz RAM, a 2TB 5400 RPM SATA hard drive, and AMD Radeon R5 graphics. Let us get right to the point: Your laptop isn’t powerful, relative to what else is out there for $600. It offers average video capabilities and sub-par processing power. You can do better for the money. But that’s not your fault. Laptop specs confuse everyone. Advertisers throw a wall of text at consumers, hoping to dazzle and amaze – but if you cut through the marketing tricks, three components stand out: The Graphics Processing Unit (GPU), the Central Processing Unit (CPU), and the display. You can upgrade everything else, unless specifically prohibited by the manufacturer. But what are the rules of thumb for identifying good value for those three parts? Let’s talk about some general tips for identifying and evaluating these components: The GPU, CPU, and display. I’ll use the laptop you’ve provided to illustrate each point and provide examples of better laptops, that you might want to consider purchasing on Amazon. And keep in mind that most laptops feature upgradeable RAM, storage, and wireless capabilities. Do you need gaming/video-editing performance or do you need mobile productivity? Intel offers the superior product for mobile productivity. While Intel may offer fewer cores, their per-core performance substantially exceeds AMD’s. Unfortunately, understanding how Intel names its chips requires explanation. Take for example, the Intel Core i3–5010U inside of my Dell XPS 13 2015 Dell XPS 13 2015 Review and Giveaway Dell XPS 13 2015 Review and Giveaway The XPS represents the pinnacle of laptop design in 2015, and it's the best bang for your buck out of any laptop we've ever seen in the $800 price range. Read More Ultrabook What Is An Ultrabook & Can It Succeed? [Technology Explained] What Is An Ultrabook & Can It Succeed? [Technology Explained] Remember when the word laptop described virtually every mobile computer on the market? The choices were certainly easier back then (because there was simply less choice available), but today there’s a far wider variety including... Read More . The most important numbers and letters are the second, third, and the very last character. So, a Core i3 is an entry level processor. The 5 refers to its generation, which is Intel’s fifth generation Core series processor. And the very last letter refers to its battery consumption and overall performance. A U stands for Ultra-low voltage, which is Intel’s way of saying it’s a mobile, and not a desktop, processor. Anything ending in a U or Y of the model name means it’s oriented toward battery life. Examples include the Core i3-6100U, Core i7-4610Y, and Core i3-6100H. All current Skylake (6th generation) and Broadwell (5th generation) processors not ending in an HQ or HK are dual-core. Even so, they still outperform AMD’s quad-core chips in general computing tasks. A word of warning: Intel’s Celeron and Pentium series of processor aren’t worth buying in the $600 price range. Celeron and Pentium chips are designed for low-cost, low-power systems in the $300 price range. So while Intel dominates in mobile productivity, when it comes to gaming you have a choice between an Intel CPU paired with an NVIDIA GPU or AMD’s Dual Graphics solution. Let’s get back to the model you’ve purchased, the AMD A8-7410. It’s not what you think it might be. The A8-7410 uses an integrated GPU, based on the Carrizo-L architecture. Carrizo-L, as the “L” in the name suggests, is designed for low power consumption, at the expense of performance. But AMD pulled a nasty trick on customers with the way they marketed and branded Carrizo-L.
Basically, Carrizo-L breaks AMD’s naming convention. For example, on your laptop the model number is A8-7410. The A8 refers to its tier within AMD’s hierarchy of APUs, with A4 being the lowest and A12 the highest. The second number – 7 — represents the generation of APU, which is Carrizo-L, a stripped-down version of the latest AMD architecture to grace laptops. But that’s where AMD deceives consumers – the 7 normally refers to its generation within the current processor architecture. Carrizo is actually the 5th generation of AMD’s Accelerated Processing Unit What Is An APU? [Technology Explained] What Is An APU? [Technology Explained] Read More (APU), not the 7th. AMD intended to make it appear that they are one generation ahead of Intel — but judging from the state of their process node technology, they are actually one generation behind. That changes in 2016 when AMD releases its Zen architecture. Carrizo-L isn’t designed for heavy duty gaming. It’s a lightweight, power-sipping system. It’s oddly mismatched with a 17.3” 1600 x 900 pixel screen. It’s definitely not worth paying $600 as it’s comparable to Intel’s low-cost Pentium or Celeron line of processor. A slightly more worthwhile laptop using the 8410 is the HP 15z. It comes with the same CPU but also throws in a higher resolution, 1900 x 1080 15.6” display and Dual Graphics, with a discrete GPU – for less than $580. While it doesn’t have as much RAM or storage capacity, those are two areas where sacrifices don’t hit performance very much. A great deal of RAM is usually only for running virtual machines What Is a Virtual Machine? Everything You Need to Know What Is a Virtual Machine? Everything You Need to Know Virtual machines allow you to run other operating systems on your current computer. Here's what you should know about them. Read More and video/photo editing. If you’re looking for gaming performance, and demand an AMD chip, look for A10 or FX branded processors. As an added bonus, look for processors that have a “P” tacked on to the end of its model number. For example, the AMD A10-8700P offers decent CPU performance and higher-end GPU performance — along with the potential for Dual Graphics, if paired with a suitable discrete GPU. For $625, you can get the Asus X550ZE-DB10, which includes the AMD A10-7400P APU combined with the Radeon R7 M265DX GPU. It’s a dual-graphics configuration and provides performance roughly on par with an NVIDIA GT-945M —although its performance can vary wildly from game to game. Check to see whether your games, or software, are compatible with Dual Graphics before making a purchase. Something else to pay close attention to: Look at the speed of the RAM. RAM modules aren’t all the same. On laptops DDR3L (the “L” stands for low-power, which is standard on laptops) RAM ranges in speed from 1,333 to 1,866 MHz. If the processor is rated (see the image below) for DDR3L-1866 memory, then you may want to make sure the laptop manufacturer includes the appropriate RAM. APUs, when paired with slower memory speeds, perform at below their maximum speed. The difference between 1,600 and 1,866 MHz isn’t a tremendous amount, but it’s still noticeable. Now that we’ve gone over AMD’s hardware, let’s talk about Intel. Intel CPUs offer better per-core performance and longer battery life relative to AMD, thanks to its smaller 14nm fabrication node technology and use of Hyper-threading. The benchmarks vary wildly, but you are almost always better off for computing tasks and battery life with Intel. In tasks that require multiple cores, Intel’s low tier Core i3 performs about equal to AMD’s quad core A10 processors. Benchmarks show big differences between the computing power of Intel’s 2015 processors and AMD’s latest silicon. Intel’s newest line of Skylake processors even offers similar integrated graphics capabilities as AMD, depending on the game or software used. In computing, AMD competes with Intel’s Core i3 at best, at least until AMD’s Zen chips begin rolling out in 2016. The only situation in which AMD offers an arguably better product is its integrated graphics and Dual Graphics. So unless you’re buying a $600 gaming laptop, go with Intel. In the ~$600 range, the best deal I’ve seen is a $385 Broadwell (5th generation) Dell i5558 with 6GB of RAM and a 15.6″ 1080p screen. Unlike AMD, Intel-equipped laptops can sometimes dispense with their cooling fan, which allows ever slimmer and lighter designs. Intel rebranded its fanless chips as Core M Intel Core M: What's so Great About the Processor? Intel Core M: What's so Great About the Processor? The Intel Core M is the most hyped processor in years, and with good reason: it's at the heart of a new revolution in laptops. Read More , which is a variation on its Core architecture. For performance enthusiasts, stay away from these chips. While they offer excellent power efficiency, they do not perform on par with actively cooled chips — including AMD’s latest processors. What Kind of Laptop GPU Should I Buy? Nowadays GPUs have been merged into CPUs – we call these integrated GPUs. But some laptops throw in a second GPU called a discrete GPU. As a rule of thumb, discrete GPUs outperform integrated GPUs, particularly when used in 1080p games. Laptop discrete graphics cards (or discrete GPUs) are smaller, lower-clocked versions of the cards found in desktops. There’s some finer points to discuss, including Dual Graphics and VRAM. Basically, if you want to play the latest games at 720p or higher, you’ll want a discrete GPU. At the $600 price-point, the best from NVIDIA is the GeForce GT-940M. From AMD, it’s the Radeon R9 M375 (or the older Radeon R9 M270). Keep in mind that AMD employs a technology called Dual Graphics which allows the discrete GPU to assist the integrated GPU. These configurations achieve excellent performance for the value. Unfortunately, not all software works with Dual Graphics, so the reliability falls short sometimes. Dual Graphics also isn’t very straightforward. For example, only certain discrete GPUs work. AMD’s best discrete laptop GPU, the R9 M375, won’t work in a Dual Graphics configuration. The most confusing thing is that they call their GPUs by a different name, when used in a Dual Graphics configuration. Similar to the tug-of-war between Intel and AMD on CPUs, discrete graphics cards also enjoy a two-way competition between NVIDIA and AMD. NVIDIA offers better performance-per-watt and AMD offers better pricing (although recently their prices have been a bit on the high side) – and Dual Graphics when used alongside APUs. NVIDIA also uses easily understood naming conventions. For example, their mid-range mobile graphics card is called the GT-940M. The 9 refers to the architecture (8 and 9 both refer to the Maxwell architecture), the 4 refers to the tier it inhabits, and the M means it’s designed for laptops. As with their APUs, AMD employs a more confusing naming convention. AMD’s mobile discrete graphics processors are broken into three groups: R5 (entry), R7 (midrange), and R9 (high end). Furthermore, they divide all their GPU offerings into two categories: 200 and 300 series. There’s no clear dividing line between the 200 and 300 series in terms of performance, although a rule of thumb is that the 300 is faster than the 200, as it’s an updated version. Sometimes an “X” is appended to the end of the number – it means very little, and it probably stands for “eXtreme”. There are benchmarks comparing all the discrete GPUs out there. Manufacturers further differentiate their lines of GPU by throwing in Video RAM, or VRAM, in quantities varying between 1, 2 and 4GBs. While there is a fair performance difference between 1GB and 2GB models — no difference exists between 2GB and 4GB versions. And most laptop GPUs come with 2GBs by default. Because gaming is so GPU intensive, any CPU sacrifice translates into a better gaming platform. If you could find an NVIDIA 950M attached to a horse-driven cart for $600, that would be an excellent deal. Unfortunately, it seems that laptop manufacturers aren’t permitted to attach their mid or high end GPUs to anything other than Core i5 CPUs. And in the $600-range, you won’t find NVIDIA’s 950M (if you can, buy it). Sadly, I couldn’t find a laptop with the Radeon R9 M365 within the $600 price range, so my recommendation for gamers is NVIDIA’s 940M. The cheapest 940M-equipped laptop is the $550 Acer Aspire E5-573G, which comes with a 1080P screen, 6GB of RAM, and a terabyte of storage. How do Screens Differentiate from One Another? Do you need matte or a glossy display? What resolution works with your laptop? Matte screens offer superior viewability in ambient light, whereas glossy screens offer more vibrant colors (which you won’t notice if you’re not in a dark room). Dell’s TrueLife technology is really just another way of saying “matte”. What Size of Laptop Display? The size of the screen determines the size of the laptop. There are three main sizes of laptop screen: 17.3”, 15.6”, and 13.3”. There are some rules to screen sizes: 17.3” screens normally begin at 1600 x 900 pixels. 15.4” and 13.3″ screens start at 1366 x 768 pixels. Most manufacturers offer a range of resolutions, all the way up to 4K, which is around 3200 x 1800. However, resolutions are inversely related to battery life – the higher the resolution, the less time you get on battery. And the larger the screen, the less portable the system. I found 17.3″ to be far too heavy and big for proper mobility. 15.6″ is my favorite form factor. A few companies possess technology that helps counteract the amount of drain caused by screens. Dell offers the best kind, which uses IGZO backplane technology. IGZO is one of several technologies that can improve laptop battery life Seven Laptop Components That Can Improve Your Battery Life Seven Laptop Components That Can Improve Your Battery Life Most manufacturers lie about battery performance. Read More . Another tech comes from Intel: Panel Self Refresh (PSR). PSR can extend battery life by around 10%, although not all manufacturers using Intel’s chips choose to implement the technology. If not for their security policies, I’d recommend Dell’s XPS 13 laptop Dell XPS 13 2015 Review and Giveaway Dell XPS 13 2015 Review and Giveaway The XPS represents the pinnacle of laptop design in 2015, and it's the best bang for your buck out of any laptop we've ever seen in the $800 price range. Read More for most users. Unfortunately, in the $600 price range, higher resolution screens won’t run in their native resolution on stronger gaming hardware. I recommend somewhere between 13.3″ and 15.6″ size screens with resolutions between 1366 x 768 and 1920 x 1080 pixels. In the $600 price range, it’s virtually impossible finding higher resolution panels, anyway — and your gaming hardware wouldn’t push around the pixels without a great deal of effort. You don’t need that much RAM. For gaming and definitely computing tasks, 8GB has repeatedly shown to offer similar performance as 16GB. Unless you plan on doing lots of video editing, consider going with 8GB at the point-of-sale or 4GB and then upgrading later on, if it proves insufficient. 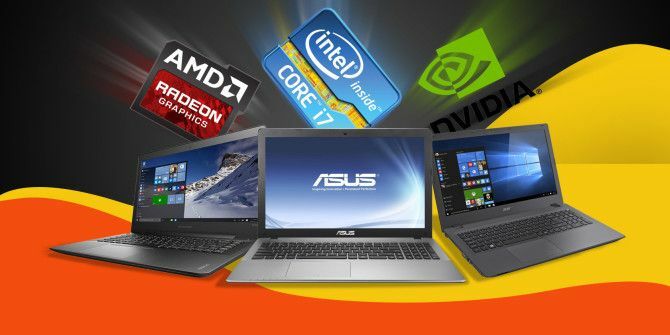 Most laptop manufacturers allow users to upgrade the RAM, hard drive, and wireless components – so I take a dim view of paying for these up front, as these often come with a premium. Instead, you can always sell your own parts off and replace them with better components for far better value. For example, an external Seagate 2TB hard drive runs for $80 on Amazon. And 8GB of Crucial’s DDR3L memory costs $34 per stick. On top of that, you can sell your old drive and memory, further reducing upgrade costs. I can’t emphasize this enough, but Lenovo and Dell have included malware in their laptops. In Lenovo’s case it was due to extreme greed. In Dell’s case, poor security policy. Both companies have rectified their issues, but even so, it needs to get mentioned. Dell’s malware problem is known as eDellRoot and offered its technicians (according to Dell’s public relations) a means of accessing its customer’s laptops. It left a big, gaping hole for man-in-the-middle attacks What Is a Man-in-the-Middle Attack? Security Jargon Explained What Is a Man-in-the-Middle Attack? Security Jargon Explained If you've heard of "man-in-the-middle" attacks but aren't quite sure what that means, this is the article for you. Read More . Lenovo’s Superfish scandal Lenovo Laptop Owners Beware: Your Device May Have Preinstalled Malware Lenovo Laptop Owners Beware: Your Device May Have Preinstalled Malware Chinese computer manufacturer Lenovo has admitted that laptops shipped to stores and consumers in late 2014 had malware preinstalled. Read More was even worse. SuperFish allowed Lenovo to replace browser ads with their own and also left the door open to attacks from third parties. However, after getting caught, it soon became clear that SuperFish wasn’t the only malware preinstalled Now It's THREE Pre-Installed Malwares on Lenovo Laptops Now It's THREE Pre-Installed Malwares on Lenovo Laptops For the third time in a year, Lenovo have been caught shipping customers computers laden with privacy-unfriendly malware, showing that they haven't learned the lessons from the public outcry over Superfish. Read More on their customers’ laptops. In short, those wanting a mobile productivity machine get a better deal with Intel in the $600 price range. For gamers (or video/photo editors), you get great value out of an AMD Dual Graphics system, but their overall reliability varies. Most consumers will fare better with an Intel processor (Core i5) paired with an NVIDIA GPU (GT-940M). Judging from the specs alone, the Acer E5-573G is probably the best buy, even though it’s based on 2015’s Broadwell CPU architecture. As a general word of advice: I always recommend performing an Internet search on the CPU (and if it has one, the GPU). For example, the benchmarks on the processing power of the AMD A8-7410 shows it performing on par with Intel chips from over three years ago. Its integrated graphics performance is a Radeon R5 – which isn’t very powerful. On top of that, its integrated GPU compares terribly to competition in the same price range. It’s a system best used in a smaller $300 laptop. If you can wait a few more months, the best time to buy is in the Spring, after the new laptops get announced at Consumer Electronics Show in January. I should also note that AMD announced its most important GPU update since 2011, codenamed Polaris, which emphasizes power efficiency. It’s worth waiting for. ASUS R751JN-MH71: This laptop uses a slightly older architecture (Haswell), and its GPU is the unupdated version of the latest NVIDIA GPU, but it’s still a true quad core Intel CPU paired with a fairly strong mobile GPU. Unfortunately, it’s a refurbished model. Explore more about: AMD Processor, Buying Tips, Graphics Card, Intel. That's the tough spot this computing novice/visual artist is in. The programs seem easy - supporting them with VRAM etc. seems to be my real challenge! You are a terrific, first rate writer for the lay man, & I've read dozens of tek writers online in the last few days. Outstanding article by a terrific writer - not so very easy to find on the web for non tek persons like myself. MANY THANKS. Hey Ken, thanks for the kind words! It's not often that I receive praise and it means a lot. Thank you! Great guide, Kannon. I'm saving this one for NEXT time. Thanks Kelsey! 2016 Q4 is going to bring tremendous price changes to the $600 laptop market. Both NVIDIA and AMD will release 14 and 16nm products, which is the largest leap we've seen in the technology available to laptops for many years now. Hey Kelsey, just in case you were interested, leaks from AMD point to a new APU called Raven Ridge, which combines Zen with Polaris and uses High Bandwidth Memory. It’s looking really good for AMD! "In computing, AMD competes with Intel’s Core i3 at best, at least until AMD’s Zen chips begin rolling out in 2016." I really did not like this comparison. AMD is not as powerful as Intel, everyone knows that, but comparing it with i3 at best is straightforward Intel fanboy talk. I'm an AMD fanboy, so it was hard admitting that they're just not quite price-competitive in the $600 range, unless you're using Dual Graphics (and then it's unreliable). In the $200-400 they're competitive, but it depends on workload. For Linux enthusiasts, though, I'd recommend AMD's APUs at all price segments. Really good information. Wish I had this back in early Dec 2015 before I purchased my laptop. Beyond trying to understand and compare component spec's, there's another issue to consider. Can you even trust the marketing specifications? (VW's come to mind along with the Samsung TV panel lottery discussions on various forums). Case in point. I purchased a ASUS N551JQ-EH71 from a leading online retailer. The laptop is marketed both by ASUS & this retailer as having a "stunning Full HD IPS screen." Turns out ASUS makes different panels for different markets. It appears the American market only gets a TN panel. I was able to confirm my laptop had a TN panel by checking the hardware ID (suggested by reviewers). Later I contacted the vendor who eventually confirmed my laptop did not ship with an IPS panel. To this day the vendor continues to market the laptop as having the IPS panel. They blame it on the webmaster for not updating the page. Makes me seriously wonder if the other components are correct. You bring up an excellent point about misrepresentation and lies of advertisers. Which is illegal in the United States. I can't imagine a TN panel in the $600 range. Although I personally prefer TN panels on laptops (for a combination of security and lower drain qualities), it's completely ridiculous that the manufacturer would advertise the more expensive IPS display and then sell a TN model. That is without question grounds for a lawsuit. How about laptops in the sub $300.00 ? Which ones are the best buys for home use, not for games. Hello Edgar, that's a great question. You commonly see laptops equipped with Celeron and Pentium processors in that range -- these have their own naming designations and generations, separate from the Core architecture. 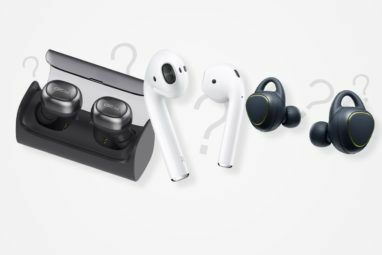 IIRC, they're currently on the 4th generation of these, but I wouldn't buy them in anything around $300. They're more appropriately placed in laptops below $300. Perhaps in the $250 range. That's because we can find Core i3 laptops for around $300. From Intel, I like anything with a 5th or 6th generation Core i3. If you can find something in that range, go for it. What is the slowest component of the laptop, that you didn't even mention? The disk drive is the slowest component. Laptop manufacturers usually install a 5500 RPM hard disk drive to reduce the cost. Even a 7200 RPM hard disk drive is not that much faster. The primary thing that can speed up you laptop, especially during startup, is a Solid-State Drive or SSD. That basically means the disk drive is as fast as the internal memory. Any application, gaming, graphics, or business, that retrieves and stores information on the disk drive can be sped up significantly with an SSD. Thanks Bill, you're right. I should have mentioned that as a hardware upgrade. Do you recommend HP Pavilion15 AB 522TX T0Z73PA? I don't know how much you paid. It looks like it's a 6th generation Core i5 with 8GB of RAM with the NVIDIA GT-940M -- if you're a gamer, those are good specs for the equivalent of $600 in the United States. Overall, that's a very good and versatile laptop. If you aren't gaming or using video-intensive software, you could probably get away with a much cheaper laptop.